Home > Expenses > Expenses - FAQs > Can I Enter Expenses in Foreign Currencies? Based on the expense entry date, we also fetch the appropriate exchange rate. You can, however, update the exchange rate if required. 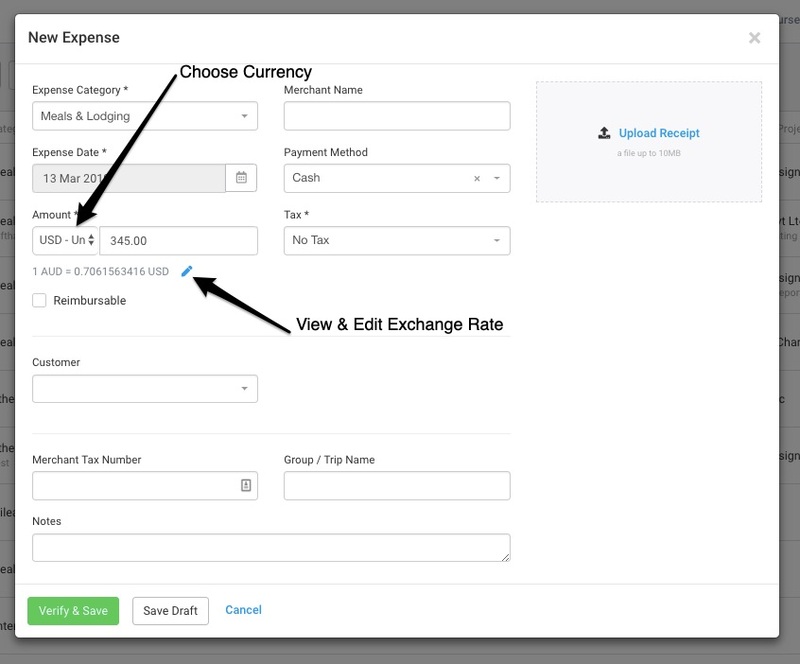 If the expense is charged to a customer, Avaza will convert the expense to the customer currency when adding it to the invoice. Learn more about Getting Started with Expenses. Do you need more help? Feel free to contact our support team via chat or email.